I want parents, children, and actual educators to have voices in Washington that are heard, appreciated, and heeded. If the politicians were really listening to us, we wouldn’t need this concerted effort to blog for “real” reform. I want schools where children can be free to learn, explore, discover, and be happy and safe. I want adults to understand that children have the ability to make choices about their education, and that they don’t require adults to make ALL the decisions ALL the time. I want children to be allowed to develop their strengths and interests beyond reading and writing. Science, Math, Social Studies, Music, Art, Physical Education, Family and Consumer Sciences, Civic Studies… these are all essential for children. I want people to know that, even though I have over 430 students, I can tell you at any given moment who is meeting objectives in my classroom, who is excelling in my classroom, and who is struggling. I can also tell you how much each child has progressed in the last two years, which is how long I’ve been in this particular school. And guess what? They’ve never taken one standardized test in my classroom. They show me what they know and are able to do by DOING. I want adults who make policies and laws to remember that every child is different. If my job is to ensure that they learn through those differences, perhaps the measures by which we ‘assess’ should also be different. I want to be trusted as a professional to do my best every day. The amount of money you pay me will make no difference in how diligently I work. Please do not insult me or my colleagues by assuming that I will work harder for more pay. The kids deserve better than that, and so do educators. There you have it… my wishes for education. I’m passionate about working with children, and I’m passionate about a free public education. Without it, there is no real chance at a democratic society. But without leaders who listen, there is no democratic society at all. Ed Leaders: Do the right thing. Open your eyes, your ears, your minds, and your hearts. Find compassion. Somewhere, in the middle of all that, the answers are staring right at you. Recently, I overheard some educators discussing personal websites, Facebook, Twitter, and blogs. Although I wasn’t a part of this conversation, I couldn’t help but hear what they were saying (okay, I was eavesdropping). If you know me well, you know that 1) my blood pressure probably sky-rocketed after hearing that, 2) my eyes went into “crazy” mode (that’s for you, Jacen), and 3) it took every ounce of restraint I’ve ever had not to walk up to the group and set them straight. I started to walk in their direction three times, and then turned back around. I wanted to tell them that, yes… SOME people use those tools for their own personal celebrity. There are plenty who don’t, though. How can you have an opinion over something you don’t even use??? In this post, I want to address only one of those so-called “vanity” sites: blogging. When I started this blog, I primarily used it to share what I was learning, as well as a reference site for some presentations I had given. I’m not sure it was a tool for reflection as much as it was a tool for me to “speak my mind.” … and there’s nothing wrong with that if that’s the purpose of your blog. Now, though, I want to use this blog as an instrument for reflection, as well as a means for holding myself accountable. Does my teaching reflect the passion I spell out here? Am I living that philosophy that I have shared and preached for the last few years? More than once in my life as a student, a teacher told me that journaling was one of the best ways to record your thoughts, feelings, new experiences, and anything else you felt that you wanted to include. It was personal. It was reflective. It was a part of you. Blogs are simply online journals… and unlike the journals no one ever saw because I squirreled them away, my blog is viewed by others. Some of them even leave me feedback. Hmmm… reflection and feedback. Aren’t those two very important pieces in the learning process? It’s really easy for me to play the role of the puffed-up windbag. I have a lot to say, and I’m not shy about saying any of it. The only way, however, for me to ensure that I am NOT just a windbag is to back up what I say with action. The action is more important anyway! If I blog about what I’m doing in my classroom and what I’m learning, and I know people are reading, I can be a better reflective learner. I can hold myself accountable to always do what is best for kids. It doesn’t matter if I have two readers or 2,000. I’m back in the classroom now, and I’m hoping to start another blog soon to ‘chronicle the journey back’ after eight years at the district level: my expectations, surprises, joys, etc. In another week or so, I think I’ll have my groove going and will be able to start that. One thing I do notice is how quickly the day flies. I see 10 music classes of students a day– grades 3-5 for 30 minutes, and grades K-2 for 25 minutes. I’m grateful to have that much time with them, as I know other specialists don’t get that much. When it comes to preparing and teaching, though, that time flies by so quickly. First observation- very few classrooms in general (not just mine) are arranged to allow adequate instructional time with technology. I need to really think how I can best RE-arrange my room to facilitate using a computer as a learning tool (I have one desktop in my classroom). Knowing that many schools were built at least 15-30 years ago (or even longer ago than that! ), I know there wasn’t even a glimmer in anyone’s eye to consider classroom design for instructional technology. My internet drop is in the farthest corner of the class. Can I make it work? Sure. I’m not whining… not at all. Now is the time to be creative and innovative. Will I use technology to teach EVERYTHING? No. More importantly… should I? I don’t think so. If the instructional technology does not elevate or enhance how and what the students need to learn, I’m not going to use it for the sake of using technology. Example: students will accompany themselves while they sing– if we’re learning to play the xylophone and sing, it’s best to use actually play the xylophone. And I DO have enough of those for every student! However, I can share some online links for enrichment and further study for my students to view later. So, I’m putting on my thinking cap about what I can do with my kids in 25-30 minutes that is relevant, meaningful, part of the district curriculum– and uses technology to enhance and elevate the lessons I teach. I’m heading back to the classroom for the 2009-10 school year. I’m excited and nervous all at the same time! Starting in August, I’ll be teaching K-5 elementary vocal music. I’d really like to blog about the experience… going back into a classroom after working for eight years at the district level is going to be an adventure! I don’t think, however, that this blog is the place for that. SO, I’m toying with the idea of starting yet another blog (that’s 3, if you’re counting!). I really think there’s much to learn about going back, and blogging is a great learning and reflection tool. I hope to reflect, report, question, and resolve through my classroom blog. Hopefully, I’ll have that set up soon and will be able to link it here. In the meantime, I really don’t want to give up this blog! I’ve grown a lot as an educator through writing posts here, reading comments, and reading other similar blogs. The bigger question will be – do I have time to do that all… especially considering how much there is to do as a newly recycled classroom teacher? I guess we’ll wait and see. I am always extremely encouraged when I hear about teachers who incorporate blogging as a tool for students to reflect and evaluate. There are some really great classroom blogs where teachers have provided some guidelines about blogging and expectations for their students. 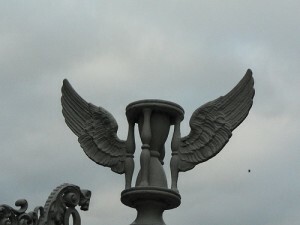 One good example of a classroom blog is the South Titan Government Blog. Read the posts, but also read the guidelines from the teacher on the side. Unlike the above example, I have found that some teachers assume students already know “how to blog” and, therefore, do not provide any structure. In most cases, these are classrooms where the teacher is not a blogger and is simply unaware that students need some specifics about blogging topics, expectations, and even etiquette. There is a big difference between knowing what a blog is and blogging with a purpose. 1. 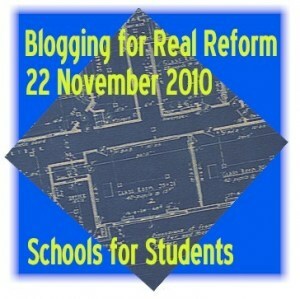 If you are an educator who does not blog, be sure to read some education blogs* first. You need to understand a little bit about the nature of blogs yourself before opening them up to your students. Feeling confident? Start your own edublog! *Not sure where to go to find edubloggers? Try Jolene Anzalone’s “Blogs in the Classroom” page. Also, check the blogroll on the right side of this page. When you jump to another blog, view that edublogger’s blogroll, too. OR– use a search engine to find blogs about education. 2. Provide guidelines. Discuss digital citizenship and responsible, constructive blog posts and comments. Check out this network for discussion about digital citizenship by kids: http://digiteen.ning.com. 3. Classroom vs. Individual Blogs: Make the decision about having a classroom blog (one blog with many contributors), or each student create his/her own blog. If your school subscribes to a service such as Gaggle, students can blog within their own accounts in a safe environment. 4. Encourage constructive commenting. Remember the advantage of blogs vs. journals on paper is the instant feedback option. Students think more about their writing when they understand it will be read by more than just the teacher. If their classmates are reading and providing comments as well, students tend to think differently about what they write. Empower your class by allowing them to comment on each others’ blog posts. With appropriate guidance, students can help each other grow as writers by commenting constructively. If you’re not quite ready to turn over blogging to your students, start a teacher blog and allow students to comment on your blog posts. After you’re all comfortable with the functionality of a blog, you might consider a classroom blog or allowing students to have their own blogs. Provide your students a writing prompt for a blog post. Students can post blog entries about an assigned reading. If you already have your students journaling about assigned readings, adapt the journal activities/assignment for blog posts instead. Again, encourage students to read their classmates’ blog posts and comment constructively. Ask your students to debate one side of an issue as a blog post. They should include justification for their stance on this issue. Within students blogs, start a “Good Questions” category or tag for blog posts. When you ask students to think about good questions for a specific lesson or unit, they can enter these questions as a blog post and tag or categorize them as “Good Questions” for easy access later. Use a classroom blog for virtual trips and journal entries. Take your students around the world and then ask them to generate a class post about their experiences. There are endless possibilities to how you might use blogging with your students. What is most important, however, is the impact on student engagement that good blogs can provide. Again, with proper structure and teacher guidance, blogging can add to a teacher’s ‘tool box’ for good instruction and learning opportunities. Blogging Can Be Good for Kids! I know I’m a little late in posting this, as it was published on April 30, but I think the findings are promising. “Bradley A. Hammer, who teaches in Duke University’s writing program, says the kind of writing students do on blogs and other digital formats actually can be better than the writing style they learn in school, because it is better suited to true intellectual pursuit than is SAT-style writing. In my personal experience with students, they tend to be very excited about their blog posts. Kids who don’t ordinarily “shine” in the classroom are proud of their personal writing and want to share it with others. The opportunity to revise and update as they blog and then receive feedback… it’s all about those authentic experiences that make writing powerful for kids. Today and tomorrow, I’ll be attending the Nebraska Educational Technology Association (NETA) conference. This year, I thought I’d blog about the conference… what I liked, what I wished would have been different, etc. The most obvious first point is to talk about location, location, LOCATION. If you’re going to have a conference for thousands of people, make sure your venue doesn’t decide to start new construction in the one and only main parking lot. Parking was horrendous this morning. The Keynote Speaker this morning is David Pogue… very charismatic, great sense of humor. His keynote address, “Five Technologies for the Next Five Years,” started as many tech keynotes do: a history of where we’ve been and then a projection of where we’re going in technology. Sure, it never fails to gather a few laughs when you go back and look at quotes stating that computers are a fad, or the “next new computer will ONLY weigh 1.5 tons.” I’m hoping, however, that we can get past this. Those of us in the technology field hear the same intro to the same keynotes at every conference. Pogue does a good job moving along to Web 2.0, and where we should be headed in that direction. I’m hoping that his next session will go a little more in-depth as to how we can productively use these “new” technologies in education. Update: I really like Pogue’s presentation style. His effective use of humor keeps the audience engaged. Additionally, he is creative in his delivery, using his own lyrics set to well-known tunes to drive a point home. My personal favorites today were, “I Got YouTube” (“I Got You, Babe”) and “RIAA” (“YMCA”). I’m hoping he’ll post the lyrics on his blog. I’m going to his next session, and I hope it’s even better than the keynote. What is so appealing about blogging? Why would a person WANT to blog? What brings readers back to a blog? What would possess a person to post a comment to a blog? An audience member immediately shouted out, “Because they need to get a life!” But if you are at all familiar with blogging, you know that’s not always true. For every one blogger who never leaves the comfort of his/her ‘cyber lifestyle,’ there are hundreds of bloggers who live very active and productive lives. So, let’s think about this: what is the draw to blogging? Authentic experiences? A sense of community? Great storytelling? And the bigger question is: how do we tap into this appeal as educators? Students blogging about assignments, for assignments, etc. are great ideas, but what else is there?